La Carreta serves Mexican food at the same place during the same hours. I always get the crispy tacos (they come 3 to an order) with a different meat for each. They have pork, chicken, beef, and vegetarian fillings. Each order also comes with beans, rice, guacamole, and sour cream. They also serve quesadillas and burritos, which I’m told are also delicious. Portabello is, by far, my favorite cart in New Haven; they are located on Whitney Avenue near Wall St on weekdays during lunch hours. 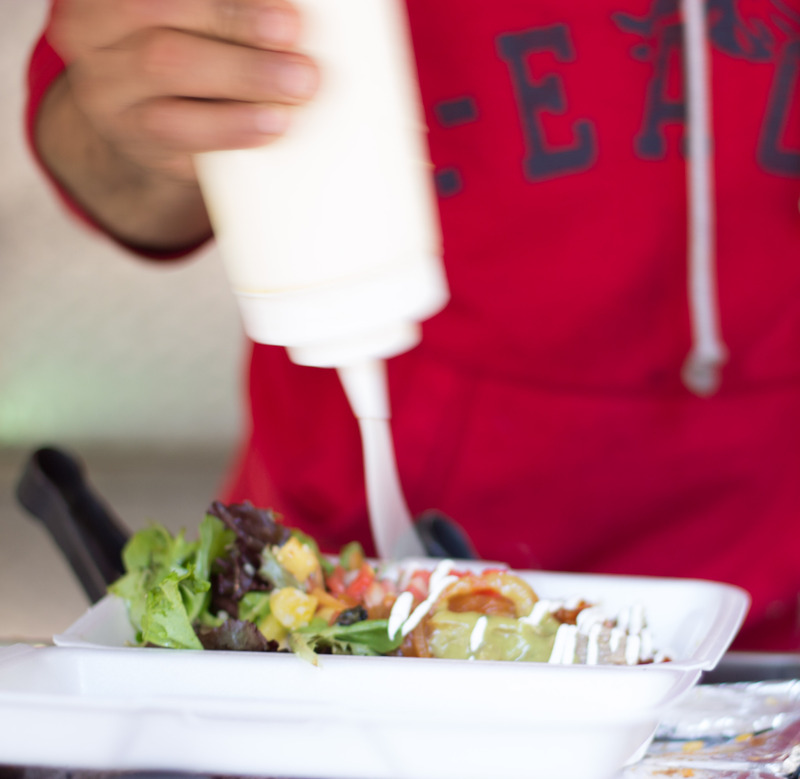 They make Colombian-style arepas from corn and cheese. You can get a range of proteins from carnitas (my fave!) or chorizo or beef or tilapia. It’s served with an onion sauce, sour cream, guacamole, and plaintains. It’s usually served with rice but you can ask for a mixed green salad, which comes with a dressing made from fresh pineapples (this is what I always get because carbo-loading does not make a productive afternoon). You can get a punch card, where if you buy 6 meals, the 7th is free! Caseus Food Truck makes a delicious grilled cheese sandwich; their location changes but you can find out where they are for the day at their website. The cheese is super gooey and they have lots of different add-ons, like arugula or duck or jambon. It’s served with pickles and mustard and goes quite nicely with a small cup of tomato soup. Ixtapa Mexican Taco Truck sells awesome tacos for $1.50 per taco; they’re located just off I-95 exit 46. They have chicken (best I think! ), carnitas, and al pastor. They’ve got lots of toppings available (onions, radishes, leeks) for you to add and also Mexican coke for sale. 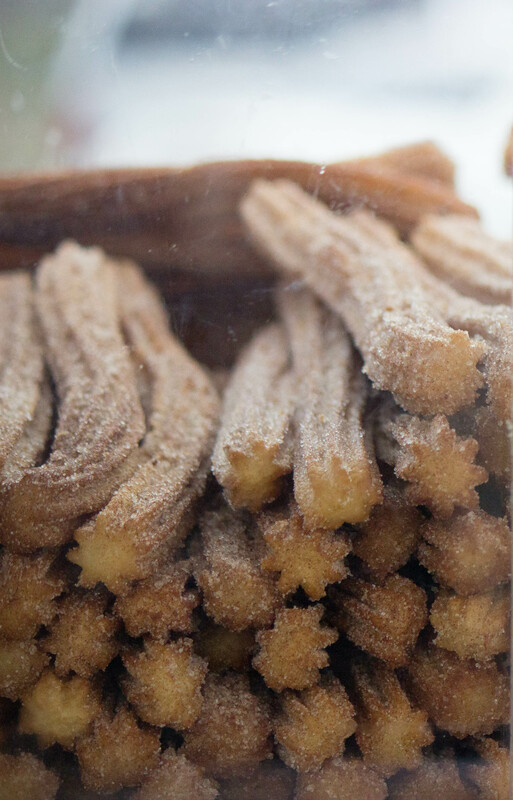 For dessert, you can get a churro from the roaming churro cart (there’s only one).